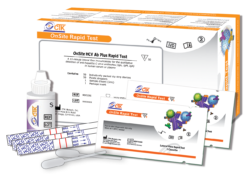 Highly sensitive and accurate screening tests for blood borne pathogens are critical to controlling the spread of these diseases by identifying infected individuals and ensuring safe blood supplies. 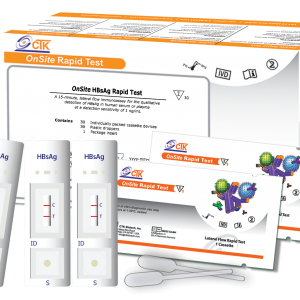 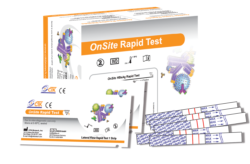 CTK offers highly sensitive and specific OnSite Rapid Tests and ELISA Kits that detect IgG and IgM antibodies to the pathogens of primary concern: HIV-1 (including subtype O) and HIV-2, HBV, HCV and Syphilis. In addition to Ab screening tests, tests that detect viral antigens are useful for early HIV and HBV diagnosis. 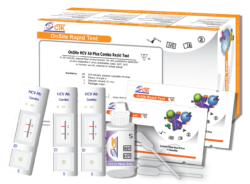 It has been suggested that HIV infection is detectable with a p24 antigen test 6 days earlier than an antibody test, and the WHO recommends the use of immunoassays against HBsAg to promote early detection of acute HBV infection.